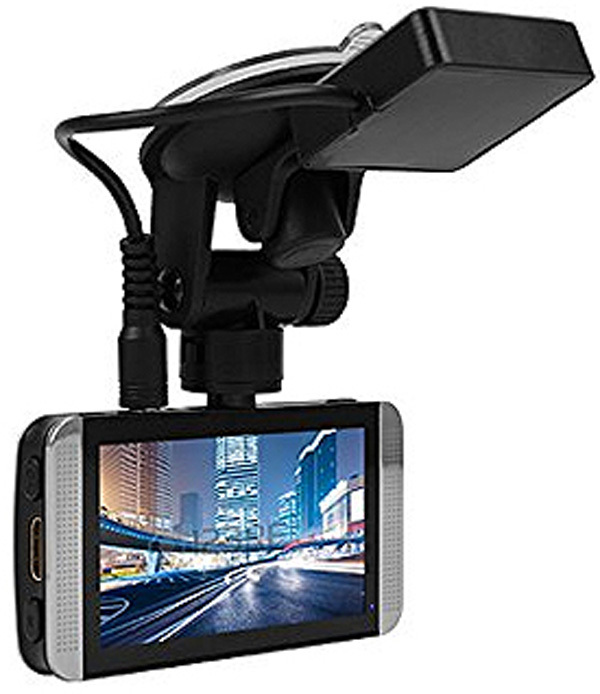 KDLINKS X1 is a dash cam by KDLINKS inc, which is one of the leading electronic companies located at Atlanta. 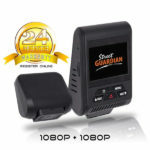 X1 Dash Camcorder is made for a number of useful solutions for all drivers. 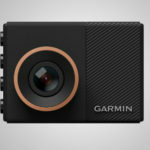 Like most dash cam, the dash camera X1 will start recording as soon as the driver turns on the car ignition. The motion detection and night mode system ensures high-quality recording despite poor lighting conditions. The WDR (Wide Dynamic Range) system will not make details that escape the high-quality f1.6 camera lens. KDLINKS X1 records Full HD video (1920 * 1080p) at 30 fps with H.264! The use of the highly sensitive F1.6 six-glass lens and AR0330 sensor produces excellent quality. As a result, the video quality is very detailed and smooth. So it is not wrong if the KDLINKS X1 dashcam is one of the best dashcams in 2019. After-sales service also having a positive response from users by responding to customer complaints. 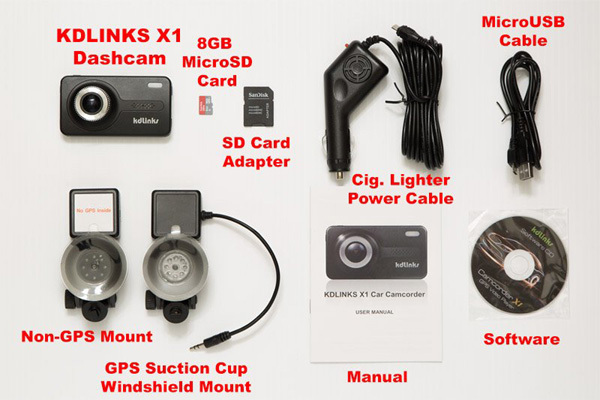 When buying the KDLINKS X1 dash cam package, there will be several types of items inside the box. KDLINKS X1 has a compact design. The camera is mostly black with a silver ring around the lens. With the dominant color black, if seen from the outside, it will be more hidden, you can place the dash cam beside the rear view mirror to get a wide angle. This one you can’t do because of the silver ring, but besides that it’s pretty good with the casing that is mostly black. Size is also quite concise. Mounts hang lower than some other cameras so they are less hidden than some other cameras, but this is not an issue that is too important. Having an LCD is useful and helps avoid trial and error. The camera can be set to rotate and point at different angles that are useful if you want to record something on the side of the road and having an LCD will let you position in the best position. You can also use it to change camera settings. This camera also has a small battery so you can walk around your car after an accident to record things that are needed, or you can use your camera to take pictures. This dash cam using the Novatek NT96650 Processor and the AR0330 KDLINKS X1 sensor capable of recording at 1080p (Full HD) @ 30 FPS; has exceptional video quality during the day and is pretty good at night, thanks to WDR Superior Night Vision. X1 Record videos with the file format .MOV and take very clear photos @ 12M in the .JPG format. You might feel annoyed if customer support does not provide good response services and this is a very painful area when getting into trouble when buying and using a dash cams; while most dash cam manufacturers provide little or no support to their customers, KDLINKS has recognized this problem. Many users report that KDLINKS customer service is very helpful and very responsive. Just send them an email and they respond in 24 hours regardless of weekends or holidays. In fact, for many users, the completion time is in minutes. KDLINKS customer service works great !! Another very useful thing to like and it is an external emergency button that can press to mark the current video recording. After being marked, the recording will not be deleted. With the GPS module integrated into the camera, this module embeds location information and related data into the vid eo clip. Maybe almost all dash cam features G-sensor (or Gravity-sensor). This feature will be active when the vehicle has an accident. When a change in the hardness of the G-force is detected, the camera in the car locks the relevant video clip into its memory. After the video is locked by the G-sensor, the video is not overwritten during regular loop recording. Heat resistance is something you should consider when buying a dashcam. Maybe when A.C turn on, you don’t realize that the dashcam device is not heat resistant. However, when your vehicle is parked under the scorching mid-summer sun, maybe your dashcam can’t stand the heat. Fortunately, KDLINKS X1 Full HD can hold up to 170˚F and -40˚F for 6+ hours. Video quality is pretty good. Things look good during the day and at night. KDLINKS X1 presses more saturation / color and more sharpening occurs. This is designed to look more attractive directly from the camera. It is very easy to read a number plate in any way so that it definitely works. The quality of the nighttime video is better with the WDR feature, or Wide Dynamic Range. This helps increase the shadow so you can see more of what happens in the shadow at night. KDLINKS X1 has software available for Windows and Mac. The interface is nice and simple. You configure the camera via the camera itself and not the software, so not much is needed in the application. KDLINKS X1 lens Full HD six glass night vision with WDR technology. KDLINKS X1 Dashboard Quite popular in the digital camera business. KDLINKS X1 is one of the best products included in the criteria for dashcam selection.With a reliable GPS dash cam system that can record video with audio when you drive your vehicle, X! is the one who does the job very well.This may not have many additional features such as motion detection, parking monitors or even still capturing but X1 does what is expected to be done, obtains full HD video from the width of the road ahead.There are a number of features that stand out from this top class dashboard cameraThe 8GB SD card is available with the package so you can open the box and use it immediately.The power cable, MicroSD card adapter, and GPS-installed suction cup are also provided. 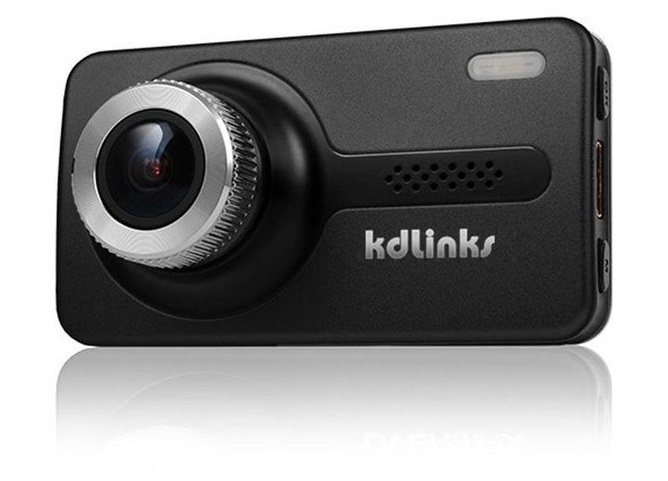 KDLINKS X1 Full HD has some interesting features and other disadvantages, but overall it does what it expects, taking high-quality and sharp videos in all lighting situations.With more than 3800 users giving reviews, most of them commented well on the X1 KDLINKS so it is appropriate if this dashcam be one of the best 2019.